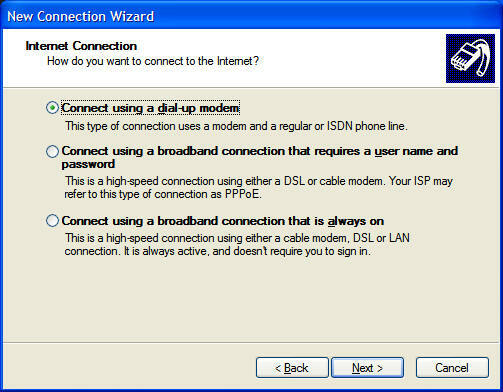 If you wish to dial up to connect to the Internet using an old 56k modem, proceed as follows. 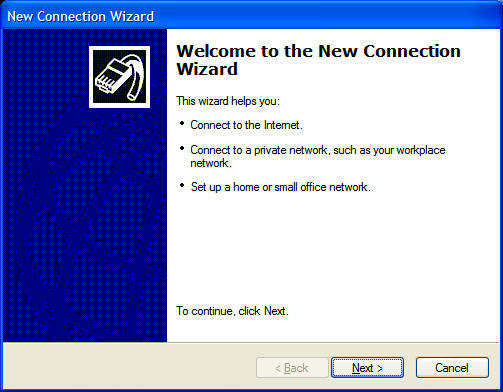 Click the Create a new connection link and the new connection wizard will be there for you. 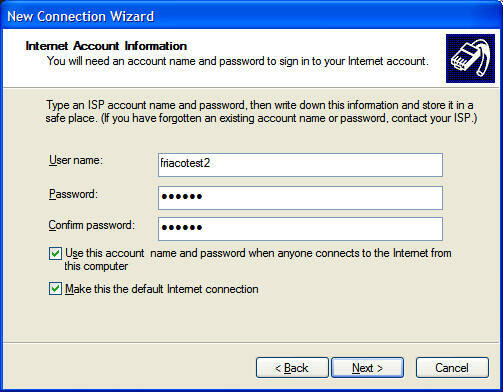 Click the Next button then ensure that the Connect to the Internet radio button is checked and click the Next button. 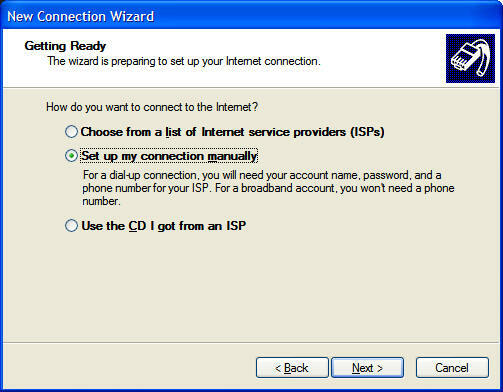 Ensure that the Set up my connection manually radio button is selected then press the Next button. 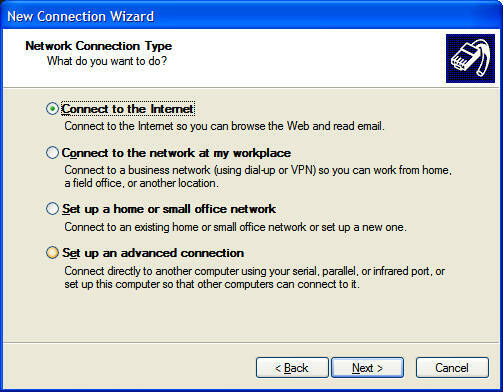 Select the Connect using a dial-up modem radio button and then click the Next button. Type in the name of the service you want to connect to and then click the Next button. 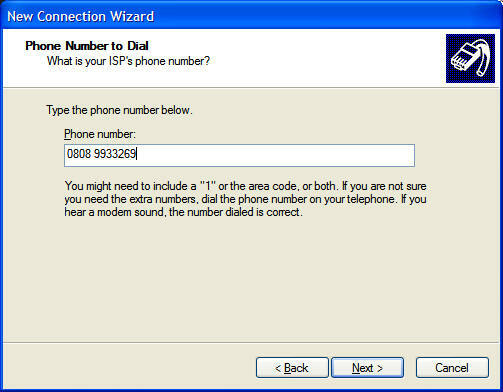 Type the phone number to dial and then click the Next button. 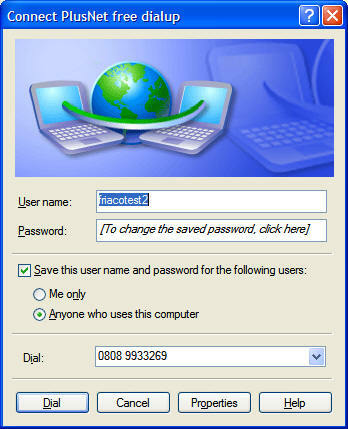 Enter the username you have been given by the service provider and the password and then click the Next button. 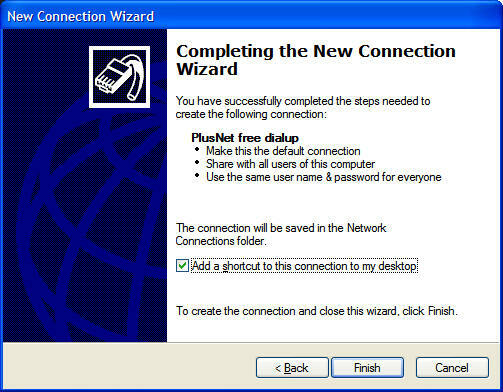 In future you can just double click the icon on the desktop to get the above screen.